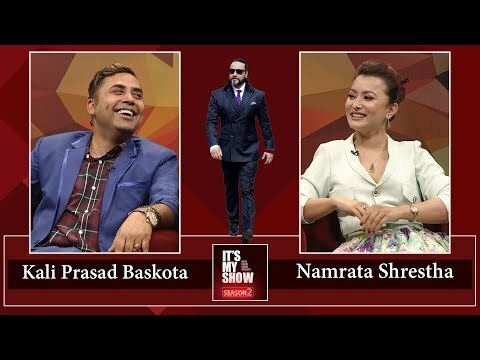 t's My Show with Suraj Singh Thakuri - Season 2 | Latest Nepali Superhit Talk Show | Kantipur TV HD Kantipur TV HD को कार्यक्रम It's My Show Season - 2 मा यो साता Kali Prasad Baskota र Namrata Shrestha, सुरजसिंह ठकुरीको साथमा ! About It's My Show : The legacy of It's My Show with Suraj Singh Thakuri accompanied by a live band where he invites celebrated people on the sets and gets the house on fire with his wit and charm has finally came back with a brand new season. It's My Show with Suraj Singh Thakuri is a new hit Nepali television talk show. In this program Suraj interviews various guests from various fraternity by inviting him to the program's set. Like every TV programs hosted by Suraj Singh Thakuri, It's My Show has been superhit Nepali show from it's first episode and liked by Nepalese and Non-Nepalese throughout the world. It is the first program in Kantipur TV since it has gone HD. 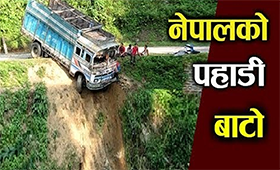 This Episode of It's my show with Suraj Singh Thakuri was broadcasted on Kantipur TV HD at 9:00pm on 13 April 2019.